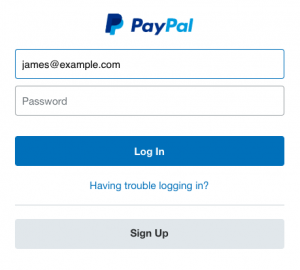 Setting up PayPal as default payment mode in Shopify store is very easy. 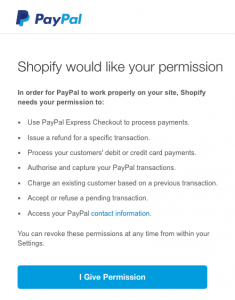 PayPal happens to be one of the default payment providers integrated with the Shopify platform. Customer selects payment method i.e PayPal in this case, at the Store’s checkout page to pay for ordering their required product or service. 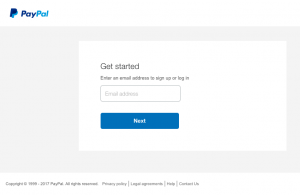 Once you set up PayPal as a payment method all the customers will be able to see it at the Checkout page of your Shopify store. Third party payment providers help to process your transactions for all the Shopify-supported payment methods. Each provider might have their own set of rules and charges associated with the type of products and services you sell. It is strictly recommended to check out their rules and fees prior to setting up a payment method. Navigate to the Shopify Payments in your Shopify store. From the given drop-down menu in Accept Payment section, choose your PayPal account type. PayPal is successfully setup. 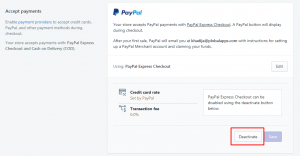 Now, you can collect payments for all the orders where PayPal checkout method is selected. It is always good to carry out a Test Transaction to ensure everything is set up properly.